Alison Rodriguez, a winemaking graduate from the Fachhochschule Geisenheim, has honed her winemaking skills in hillside vineyards of a wide variety: from the slopes of the Rheingau and Nahe valleys, to the alpine foothills of the Alto Adige, to every hillside AVA in Napa Valley. Alison’s work in these diverse growing regions has given her perspective on what nuances the unique combinations of vineyard site, soil, slope and sun contribute to the personality of each wine. 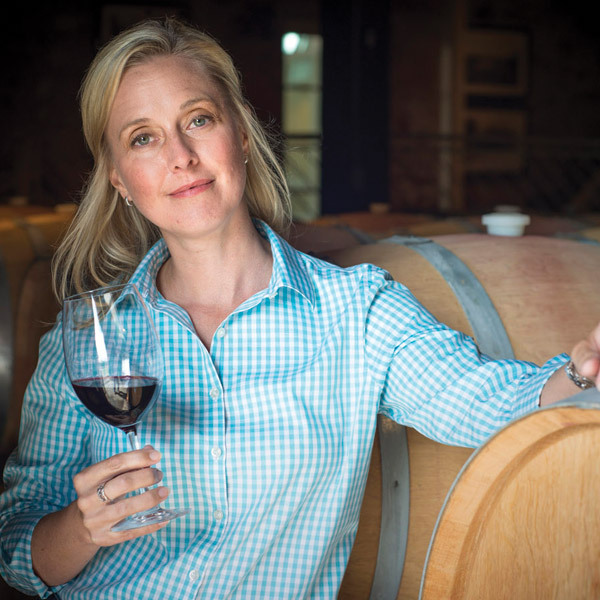 In 2016 she joined the team at The Hess Collection as Winemaker, and Alison is currently responsible for the creation of the Napa Valley based Allomi Cabernet Sauvignon, the award-winning Hess Select Monterey Chardonnay, the restaurant-exclusive portfolio of Shirtail Ranches wines, and she contributes her skills to the Hess Collection Small Block Series and The Lion Cabernet Sauvignon, as well. She enjoys travelling for work and pleasure, having visited over 35 winegrowing regions throughout the world. A few new regions on her wish list are the Savoie, Priorat and the sparkling wineries of southern England. In tandem with her winemaking, Alison has also earned the WSET Advanced Certificate.